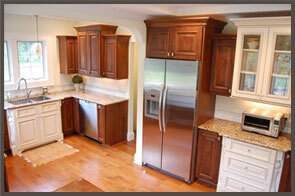 Bathroom & Kitchen Remodeling Contractor, Milwaukee & Brookfield, Wisconsin. 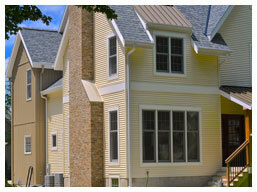 At Skirrow Design Build, we love transforming outdated spaces into masterpieces you will enjoy for years to come. Where the difference is quality." Skirrow Remodel is a division of Skirrow Design Build specializing in Residential remodeling and home additions in the greater Milwaukee area. We are experienced professionals at kitchen and bathroom remodels, home additions, and both interior and exterior renovations. Whether we are restoring an antique Wauwatosa staircase or building a new addition to seamlessly match an existing house, we take pride in every project we complete. #1. Passion – We love what we do. That is a rare trait among contractors today. We not only care about quality craftsmanship from start to finish, but we care about our customers comfort during renovation. We work to minimize dust during construction, and we clean up every day. #2. 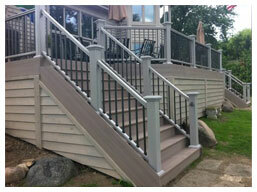 Reliability – Trust is essential to a great remodeling experience. We show up when we say we will and our employees and subcontractors are professional, clean-cut, and friendly- The kind of people you feel good about working in your home. #3. Communication – I believe in prompt and personal communication with my clients. Whether we talk in person, by phone, email or texting – you are talking with me, Aaron Skirrow, not a sales person or a project manager. © Copyright 2019 Skirrow Remodel.